The 22 onboard rooms feature traditional maritime stylings with wood panelled walls. You can choose between double and twin bedded rooms, each fully equipped with a private ensuite, air conditioning and ample storage space. All rooms feature large picture windows, allowing you to fully immerse yourself in the spectacular scenery. 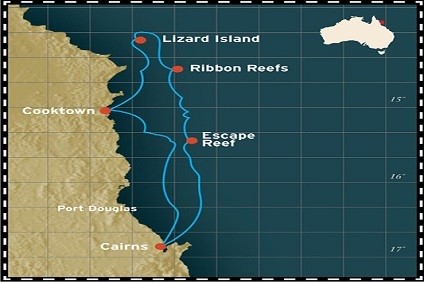 3 Night Cruise sailing from Cairns roundtrip aboard Coral Expeditions II. 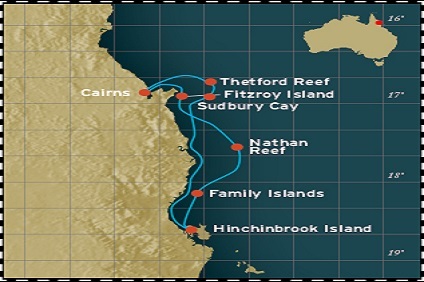 7 Night Cruise sailing from Cairns roundtrip aboard Coral Expeditions II. 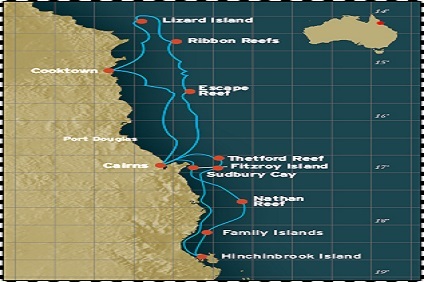 4 Night Cruise sailing from Cairns roundtrip aboard Coral Expeditions II. Our four Deluxe Staterooms are located at the stern of B Deck, in close proximity to the Bridge and the full length Sun Deck. Decorated in a traditional maritime style with wood panelling, Deluxe Staterooms are a spacious 15sqm (162 square feet) in size and feature picture windows for expansive ocean views along with a comfortable settee, desk, ample storage space and your choice of fixed double or twin beds (subject to availability). Our nine Upper Deck Staterooms are located on Deck B, a dedicated accommodation deck offering a quiet environment, yet still in close proximity to the Bridge, Sun Deck and Dining Room. Decorated in a traditional maritime style with wood panelling and comfortable furnishings, Upper Deck Staterooms are 14sqm (151 square feet) in size and feature picture windows for expansive ocean views along with a desk, ample storage space and your choice of fixed double or twin beds (subject to availability). Our four Stateroom category rooms are located midship on Deck C, close to the Dining Room and our Glass Bottom Boat boarding platform. Ideal for those wishing to avoid stairs, Stateroom category rooms feature a traditional maritime decor with wood panelling and comfortable furnishings. At 14sqm (151 square feet) in size Staterooms offer plenty of space to relax and feature picture windows for expansive ocean views along with a desk, ample storage space and your choice of fixed double or twin beds (subject to availability). Perfectly suited to those guests on a budget, Cabin category rooms are located close to the bow of the ship on Deck C, close to the Dining Room and our Glass Bottom Boat boarding platform. Cabin category rooms feature traditional maritime decor with wood panelling and comfortable furnishings and are sized from 10.50sqm to 14sqm (141 to 151 square feet) in size. Cabins feature picture windows for expansive ocean views, air-conditioning, ample storage space and fixed twin beds.